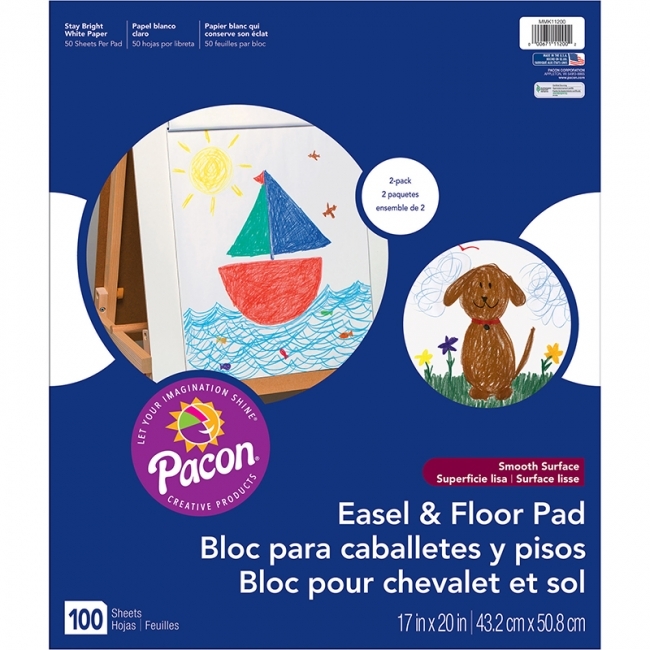 There's room for lots of art and imagination with this large easel pad. 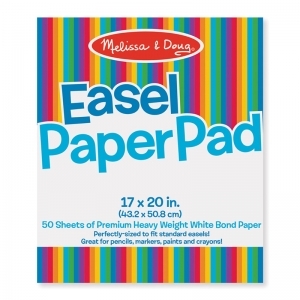 It's great for use on an easel, tabletop or the floor. Premium white bond paper is ideal for pencils, crayons, markers, chalk, watercolor or poster paints. Each pad includes 50 sheets and measures 17" x 20. With sheets that can stick almost anywhere, Post-it Easel Pads foster the imaginative thinking that lays the foundation for future growth. So when you want to successfully plan, collaborate, and build on ideas, they're ready to help you succeed. 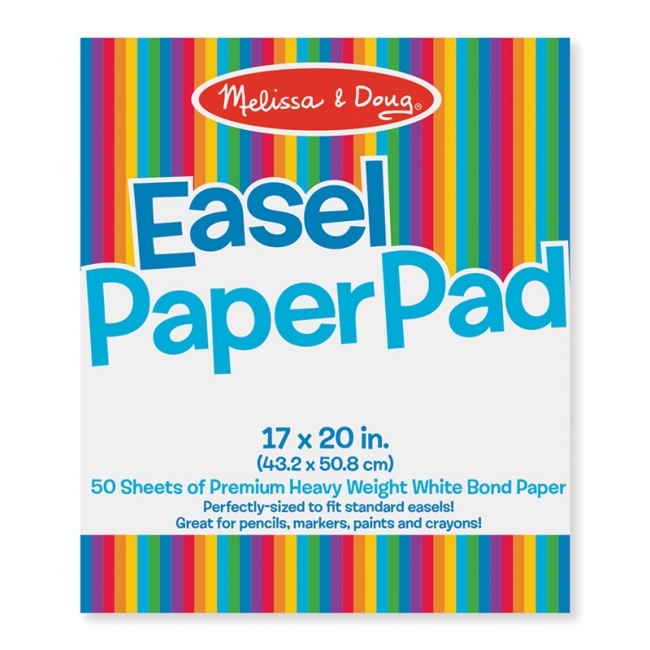 Post-it Easel Pad sheets feature premium, bright white paper that resists marker bleed-through; they stick to most surfaces and can be repositioned again and again, without surface damage. 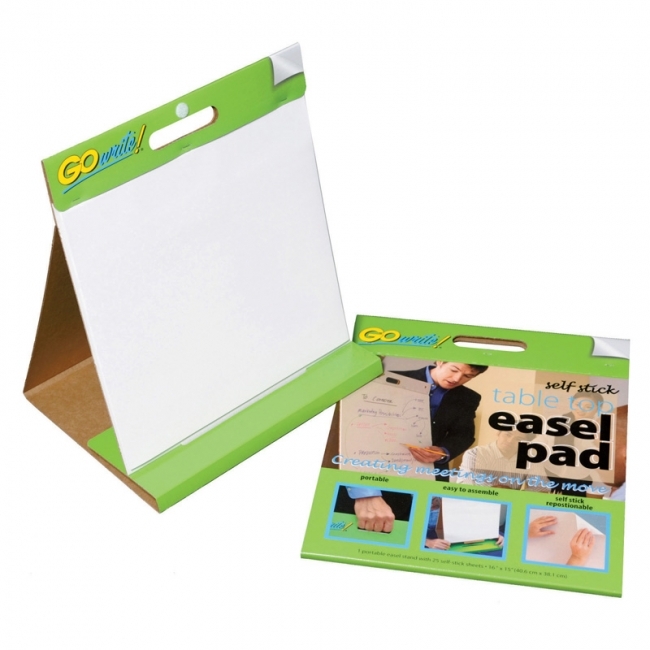 The sturdy backcard features a handle for easy portability and universal slots to fit most easel stands. Sheets are 25" wide x 30" long. Includes 4 pads, each pad includes 30 sheets. 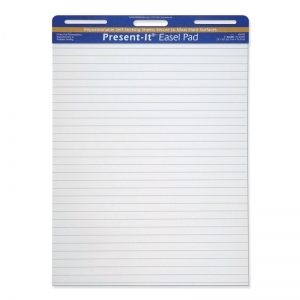 This 1" ruled, self-sticking sheets are perfect for any presentation, brainstorming or problem solving exercise. Sheets are bleed-through resistant, pull-off easily and stick securely to most hard surfaces. No tape, tacks or staples needed. Remove or reposition without leaving residue behind. Features a convenient carrying handle. Includes 25 sheets per pad. Recyclable. Measures 25" x 30". Excellent visual tool for the classroom. 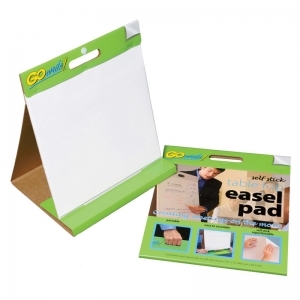 Also can be used for presentations, or as a floor or easel pad for arts and crafts projects. 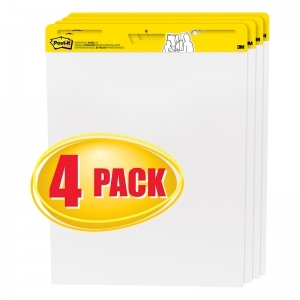 Two pads per package (50 sheets each). Made from White tablet paper. Recyclable. Measures 17" x 20". Perfect for any meeting or discussion. 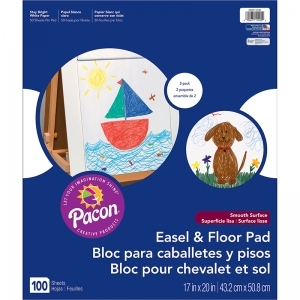 These easel pads are a great size to set on a table or a desk. Each easel comes with a two-sided cover that easily folds to become the base of the easel allowing it to stand on its own. Wipe away and reuse! Erases cleanly. Convenient carrying handle. Recyclable. Measures 16" x 15". Includes 10 sheets. This easel pad is the perfect size to set on a table or a desk at any meeting. The easel cover folds down easily to become the base allowing it to stand on its own. Jot down discussion points and ideas. Leave sheets on the easel or stick to a wall to display. Removes cleanly without leaving residue behind. Convenient carrying handle. Recyclable. Measures 16" x 15". Includes 25 sheets. 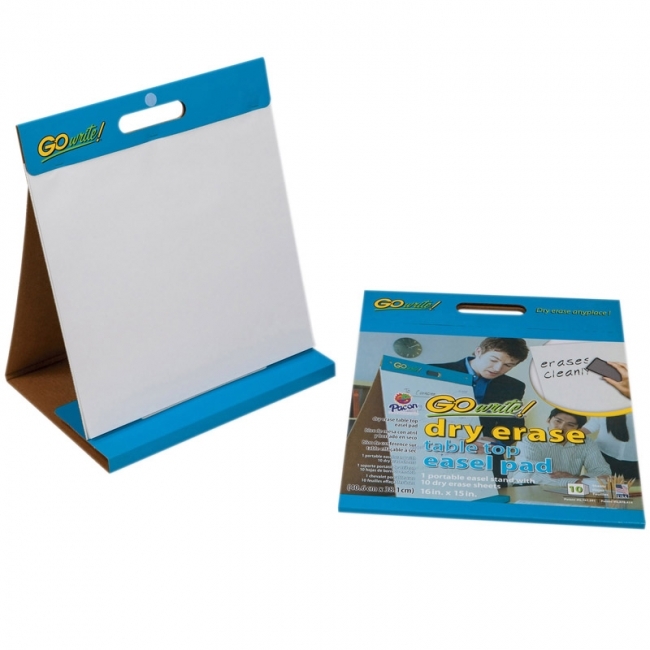 This easel pad is the perfect size to set on a table or a desk at any meeting. 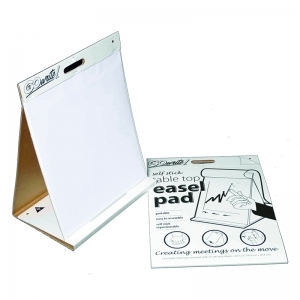 The easel cover folds down easily to become the base allowing it to stand on its own. Jot down discussion points and ideas. Leave sheets on the easel or stick to a wall to display. Removes cleanly without leaving residue behind. Convenient carrying handle. Recyclable. Measures 20" x 23". Includes 25 sheets.